Do you unload your horses to stretch when traveling? What is the furthest you have hauled a horse without unloading? Where do you unload? Have you ever seen someone unload in a situation you thought was dangerous? I have written several blogs about traveling with horses. How do I find a reputable (trustworthy) horse hauler to transport my horse? Have you ever needed to have your horse trailer towed? How do you handle traveling with stallions? Do you haul mares with them? 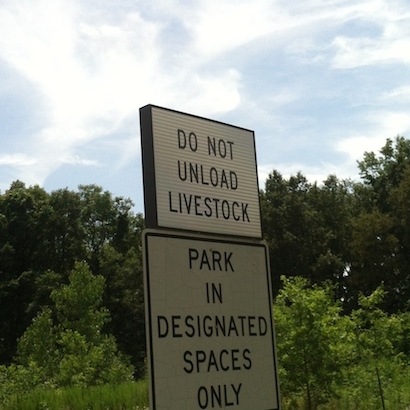 I personally don’t unload on the road very often for safety reasons. I do evaluate my horse and what kind of shape they are in, as they claim that riding in a trailer is roughly equivalent to a horse walking; 2 hours in trailer is similar to the horse walking for 2 hours. I have even been known to borrow a stock trailer if I felt that the horse needed to be able to move around more than they can in a slant load. I think each situation is different but I would love to hear how you handle hauling also. When I travel with my horses. The only time I have ever let my horses out of the trailer to stretch is when I drove over night I had 3 horses with me before night hit. I stopped in a safe grass area away from the highways and busy roads and I set up a round pin that I had with me just big enough for my horses to get in and walk around and eat hay and drink water. I chained the gate with a lock and parked my truck in front of the gate and slept in the driver seat for my horses safety. We’re use to traveling 10 to 12 hours. We never unload, do to safety reasons, but we do stop a little longer when refuelling or eating, we open the drop down windows, so they can stick their heads out. I use to offer water through the window but never any takers. I do check them visually at our stops and only on one occasion did I see one of my old troopers have a sick look. We off loaded at a farm, who are now friends with and he was fine in minutes. I also don’t tie or wrap my guys and have a 3 horse slant. We learned to travel with people who have travelled for years before we started out on our own. However we have never travelled in really cold weather. We have started out when it’s been around freezing and headed south to have it warm up dramatically, so you have to be aware that you have to open up the trailer on the road. It’s just common sense, but scary for new haulers.Its also good to travel with other people on the road if possible just in case of break downs. That’s one thing we are really cautious with, we make sure our rig is in tip top shape. It costs money to do it right and safely. So if your rig isn’t certified and checked, brakes tires, good vehicle… You have no business hauling anything. We often travel in the middle of the night because our horses aren’t air conditioned. This works really well to avoid traffic around big cities, and the heat of the day which can kill a horse fast, stuck in a trailer in a traffic jam. COMMON sense. Horses need to be able to get their heads down every two horses or are in danger of getting travel sickness. If they can’t do this in the float you need to take them out so they can do it. 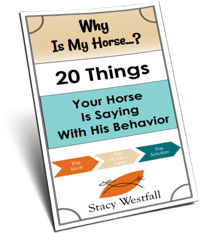 I unload in a safe place if I trust the horse and I believe it is for their best interest, but I have hauled all day when I was not sure if I could get the gelding loaded again, safe place or not. Most of my hauls are short, but I do a long, all-day haul on occassion. I am blessed to have the 2 horse straight load trailer that I have, and would probably alter my routine with a nicer trailer. I do not have the ability to keep water in front of a horse, but my mare wouldn’t drink on the road anyway. I do try to keep hay in front of them for entertainment, and offer water. I have hauled as many as 7 horses from coast to coast on several occasions. Every time we stop for fuel/food, I offer water and they keep hay the entire trip. When we stop for the night I unload them off the trailer for at least an hour and I walk them around a bit. Before we leave in the morning, I unload the horses again for at least an hour with some walking to help stretch them. I have never had one colic doing it this way. The longest I have ever had a horse on a trailer without unloading was 20 hours, however I did stop for two 1 hour stops to give the horse a break from travel. This was a yearling stallion (just purchased) that had not been taught to load yet, and I didnt want to be trying to teach a scared horse how to load with all the commotion of other people and cars. The furthest one way distance I’ve hauled is about 400 miles. I stop every 1.5 to 2 hours for about 20 minutes to allow my horse to rest and get a break from the vibration of the road. I prefer to keep him in the trailer where he is safe. I would hate for him to hurt himself in some unforeseen accident if I were to unload him. I offer water, talk to him and provide some company during our stops. As Sarah does, I too ensure there’s a nice thick layer of shavings in the trailer to provide the most protection I can. I live in Darwin, Australia. I once had the opportunity to do some exhibitions with my stallion in Sydney, Brisbane and Melbourne. This made for a round trip of about 10,000km/6,200 miles. I set off with a plan of 4hrs, short stop, 4hrs stop for the night. On the second night I was in real outback of Australia, no vets for about 600km either way. The love of my life was very sick, he was valiantly thrashing around with pain. I found a safe place to rest him for the night and several hours the next day. I was blessed with a merical, he got better on his own. So off I go stopping regularly to check on him. Stopping and unloading every two hours by day, unload for the night ( that was the pattern for the next six weeks). I discovered he would not wee in the trailer, that’s what made him sick. It took him a week or so to completely recover from his illness in the outback. So it was a long slow trip unloading every two hours but my boy was happy. My traveling buddy was happy with a cup of tea every two hours also. It was a wonderful time on the road with my stallion after I managed his travel to suit him. Seven years on and he has never had another day of illness. I myself have never hauled more than 4 hours or so away from home, but I would not be comfortable unloading my horses in unfamiliar surroundings during a trip. Sara McNeil, I always keep shavings in the trailer. Some trailers will transfer heat from the road and the shavings can offer an additional barrier between their hooves and the warmer trailer floor. The key word there is ‘some’, not all trailer floors are equal and rubber mats will affect the heat transference too. Shavings also absorb moisture, so the floor doesn’t get slick when your horses need to urinate. I’ve even heard of horses ‘holding it’ because they do not like getting splashed if there are not any shavings. Tarrin is correct about water, just don’t fill it to the rim and they should have hay as well. Leave the animal untied as they need to be able to move their head and neck to balance. 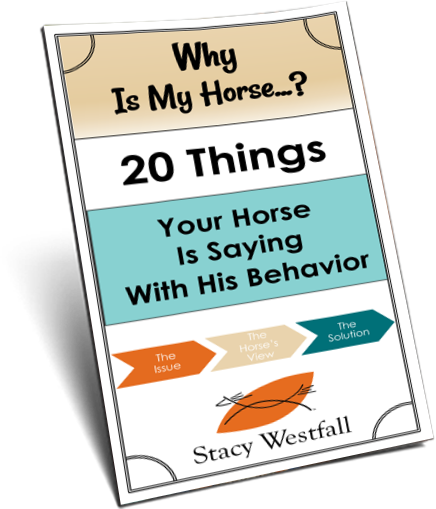 Sometimes horses will not eat, drink or urinate until the vehicle stops so extended stops give them time to do all those “housekeeping” things. Some shavings on top of the mats is a good idea as horses sometimes refrain from urinating if there’s possibility of getting splashed. I unload every 2 hours. Walk around and short lunge to stretch legs for circulation and to keep from getting stiff and offer water. How about shavings? Do you put shavings down in the trailer or just use thick rubber mats? i never unload and have never had a problem with a horse on the road and have had my horses ona a tralier for as long as 20 hours andmany times as long as 12 to 16 hours. I just did a 5 hour trip with an unbroken filly on the weekend and I went straight through, mainly because the closer I got to my destination the busier the roads, so in the interests of safety it was not a good idea to stop. on arriving my horse was calm and interested and was not at all tired., so for me it really does depend on the cicumstances at the time and what is safe for everybody. Exactly as Tarrin said, my horse trainer said that as long as the trailer is not moving the horse can rest, so let them rest for a while every few hours along the way (when you stop for coffee/toilet) don’t unload unless you have to. In a long haul case then you would definitely unload after a day in the trailer. I’d also like to know how you haul with water in front Tarrin? I have seen that video before shobson944….. it sounded like they were in a TORNADO right outside the door….. but Very interesting tooo…..
We have made NUMEROUS cross country trips. We have hauled 2 week old foals to 20yr olds. We do not unload on the road. We have found it to be more stressful on the horses. We extend our gas / bathroom / meal stops, so the horses can rest. We haul with water in front of the horses. We feed Chaffhaye which has tons of moisture in it. We do not tie them so they can drop their heads and clear their airways. We unload everynight and make sure the horses are off the trailer 8 to 10hrs. We’ve done this for up to three days straight to get from Texas to most anywhere we are going. Horses are on the trailer 12 to 16hrs and off a minimum of 8 to 10hrs. We find the horses are more anxious off the trailer and very happy to get back on with their buddies the next day. This method has worked well for us and we have been using it for over 14 years of long distance hauling.